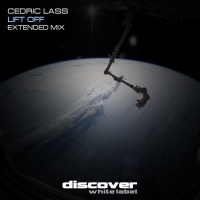 Cedric Lass joins the Discover family with a superb label debut - Lift Off. Distorted riffs and melodic hints fire in from every direction from the start complimenting the bubbling bassline and relentless acid to perfection. The breakdown drops quick and fast as this is a tune of unrelenting pace and when it hits, it hits hard with distorted vox samples and mayhem all adding to the journey. When it kicks back in, Lift Off disarms and entertains in equal measure, then, as fast as arrived, the outro drops leaving everyone wanting more. And with a producer as talented as Cedric Lass, we are certain not to have long to wait until his next audio masterpiece. 'Lift Off' is available now from Beatport and iTunes.